L.M. Montgomery Challenge - What YOU read (and what you won)! I promised to share the links for what everyone else read and did in a blog post to make it easier for you all to hop around and visit with one another. Here 'tis... (clicked on the titles to read individual reviews). Amy at Hope is in the Word read: Pat of Silver Bush and Mistress Pat. She also shared about her trip to PEI which is a post you really should not miss! 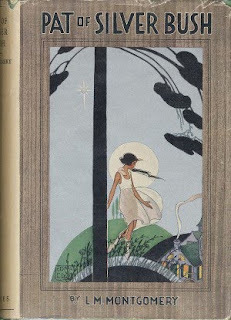 The Black Sheep also read Pat of Silver Bush, which is one she read as a child. Apparently she fought reading the classics as much as I did growing up, but Montgomery managed to wiggle through! An Almost Unschooling Mom wins the prize for being the most active in the challenge. She reviewed Anne of Green Gables & Avonlea, and Anne of the Island. She skipped over Anne of Windy Poplars and went straight to Anne's House of Dreams which is a method with some appeal to me! Onward to Anne of Ingleside , Anne of Ingleside, and wrapped it all up with Rilla of Ingleside! She also made some paper puffed sleeves with her girls! Whew! I am both seriously impressed and in awe by how much she was able to accomplish. AWESOME!!! Catherine wrote 4 posts pertaining to Anne of Green Gables: One, Two, Three and Four. Shawnee read Anne of the Island. Annette read Anne's House of Dreams and she wrote about Lucy Maud Montgomery as well! Barbara at Stray Thoughts read and wrote about Anne of Green Gables. Finny also read Anne of Green Gables. Stephanie's Mommy Brain gave Anne of Green Gables another try. Despite losing some interest in Anne with age, she bravely went on to Anne of Avonlea & the Island. (Thank you. my friend. I feel quite honored for your efforts. And I know you enjoyed them at least a little bit so yay!) She also watched the movie! In case you are tired of hearing about Anne, you can thank Beth at Weavings for shaking hands with Kilmeny of the Orchard which she didn't hate but didn't overly love either. 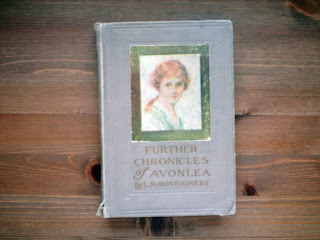 She also hit up Chronicles of Avonlea and Further Chronicles of Avonlea which I was glad to see! Lastly, she receives a reward for uniqueness in getting around to Magic for Marigold. Jen also jumped in and dared to be different! 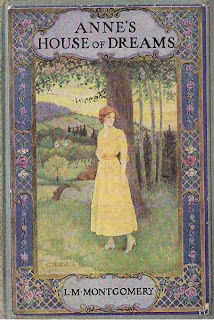 She too read Kilmeny of the Orchard (liking it at least a little bit more than Beth did), Chronicles of Avonlea and Further Chronicles of Avonlea. She stands out from the crowd by virtue of the fact that she read The Road to Yesterday (a review of which I was excited to see in the lineup!). I love it that Jen engaged with the short stories. Lastly, she read The Blue Castle which I was glad to see someone review. 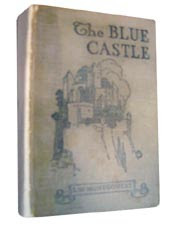 Here's my personal story relating to The Blue Castle. Soooo..... some of you have caught on to the fact that Jonathan and I are wedding photographers in Oregon but have you noticed the name of our business? I started the business before we were married and I knew I couldn't use a name that was too glaringly Anne-ish. That'd have been too corny. I was trying to think of something that was Montgomery-ish but wasn't a dead giveaway and thus the name of the business was born. And every single couple who hires us asks us the reason for the name. Sometimes I regret it but most of the time I think it has a pleasant ring to it. Since it IS one of my favorite Montgomery stories, I'm ok with it. It almost makes up for the fact that if we had a girl, I wouldn't be allowed to name her Anne. Or Valancy either, most likely! Tonia had a list of books she wanted to read and managed to get through: Jane of Lantern Hill, The Story Girl (which came as something of a surprise to her! ), Kilmeny of the Orchard and A Tangled Web (which she very much did not like)! I loved her post which talked about her expectations going in and impressions going out! A Book Lover read Jane of Lantern Hill which is the only full-length work of Montgomery's that she thinks she hadn't yet read. It's always nice to add the final piece to any puzzle, I think! MonkeyBoy Adventures planned to read the Emily books but got a bit sidetracked with Kilmeny. Still, she did get through the first two Emily books as planned. Jacquiline's Jabberings read The Story Girl. Our Kindle readers included Tina who read Anne of Green Gables and Jennifer at Snapshot who read Anne of Avonlea. Both ladies started out reading their books with their daughters but finished the challenge alone. However, they both stuck with the Kindle and I thought both had some interesting remarks to make about reading this book in this particular way. I picked up Jane of Lantern Hill, Anne of Green Gables, Anne of Avonlea, Anne of the Island and I'm almost done with Windy Poplars. I always get stuck on Windy Poplars. It's my least favorite book in the whole series and always makes me want to give up and walk away. I just get a feeling of boredom from Montgomery in this particular novel and I'm rather tempted to walk away (but I won't). I also shared my Top 10 Reasons I Love Anne of Green Gables. Those reasons make me love her all the more. But as she grows up in the series, I noticed my interest in her waning and for the first time ever, I almost felt sorry that Montgomery felt pressured to write so much her. It almost cheapens Anne to some extent, if that makes sense. It left absolutely NO room for anyone to waltz in and give their own interpretation of it! Anne is complete, really, in Montgomery's own words and I value that and wish people wouldn't try to create something that isn't out of Anne. It's not necessary. So for that reason, I'm completely grateful. So there we have it. I still love Anne (more so than I did when I was younger) but also am forced to acknowledge some of the flaws in her, which I think are mostly due to boredom on the part of her creator. Not something I can necessarily judge, and certainly disappointing to some extent. Yet I'm ok with it because she explains Anne's history and satisfies the cravings of the "what if", if that makes sense. I hope you learned more about Montgomery, what you like and what you don't like, during this challenge. It's been fun hearing your thoughts! Now I'd encourage you to go forth and visit the other people who participated in the challenge. 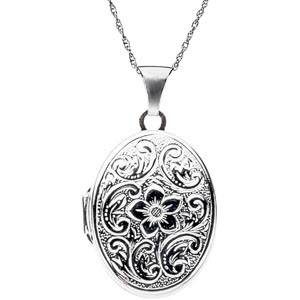 The winner of the sterling silver locket from Emma Parker is: An Almost Unschooling Mom!!! (If you are curious, it was your link to the Anne of Green Gables/Avonlea post that won it for you - that was the one random.org selected!) Since she was the closest to having made it through the entire series (skipping only one book!) I think she rather deserves it, wouldn't you say? I'll be collecting your mailing info and getting that off to you! Thank you everyone for playing along and doing such a splendid job! I'm already looking forward to next time. That's a LOT of reading, Carrie! Thanks so much for the challenge--I always enjoy it! I'm already thinking about what I'll read next year, Lord willing. . . I emailed you my address - and now I'm off to read all the other reviews, and check out all those great blogs you've linked. I look forward to reading a few more posts of what others wrote. Thanks for hosting this and Congrats to the winner! Congrats to An Almost Unschooling Mom! I agree she deserves it. It will take a while to work through some of these, but it will be fun. I appreciate having all the links in one place. Thanks for hosting this! I'm already looking forward to next year! This was a wonderful exercise for a particularly dreary month of the year. Thanks, Carrie, for hosting the challenge! Thanks for listing everyone - it was fun to see what everyone else read. Looking forward to joining the challenge again next year!